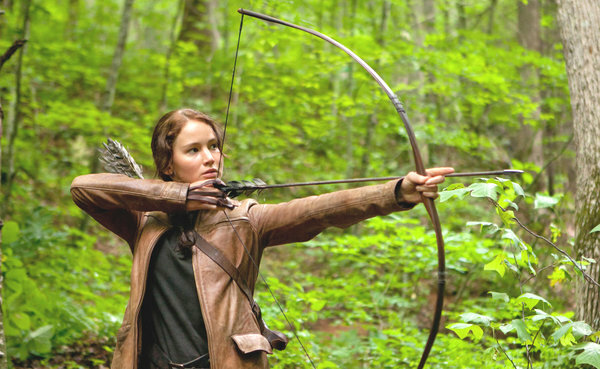 The Hunger Games is about the first stirrings of revolutionary consciousness, but its relationship to capitalism is less clear than it might initially appear. Does the Capitol double for capital, or is the form of exploitation in The Hunger Games of a cruder type? Although the Capitol looks at first sight like a metropolitan capitalist society, the mode of power at work in Panem is better described as cyber-feudal. Market signifiers are, after all, strangely absent from the Capitol. Commodities are ubiquitous, but there are no corporate logos, shops, or brand names in the city. So far as we can see, the state, under the beady gaze of President Snow, seems to own everything. It exerts its power directly, via an authoritarian police force of white-uniformed Peacekeepers which inflicts punishment summarily, and symbolically, through the Hunger Games and other rituals in which the districts are required to demonstrate their subordination. 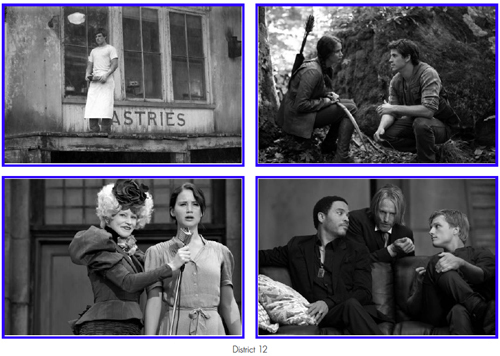 In District 12, meanwhile, there is a black market, but little indication of legitimate commercial activity. We know that Peeta works in his parents’ bakery, but the overwhelming impression of District 12 is of a society bent double by manual labor, in which shopping is by no means a leisure activity.